From the 1950′s, Mauritius followed the developed world in the ‘Green Revolution’. Chemical fertilisers, containing Nitrogen, Phosphorus and Potassium (NPK), rapidly replaced the age-old organic ones. Due to their high NPK concentration, farmers needed to apply much less volume of these new fertilisers to the fields compared to the previous natural organic ones. The farmer’s work was facilitated and profits increased as yields exploded worldwide. Now, just 60 years later, we see a very different picture: yields are falling, pest attacks are on the rise, food-crops are less nutritious and human health is deteriorating. We need to understand what went wrong, so that we can take the necessary steps to ensure the next generations have a chance to live healthily. Before the advent of chemical fertilisers, farmers not only fed their soils with complete organic fertilisers, but they removed less from the land as yields were lower. Such practice enabled the soils to stay near their peak natural fertility. Soil carbon levels were high, nutrient levels were naturally balanced, structure was optimal and beneficial soil life was thriving. It is therefore not surprising that the combination of high natural soil fertility plus chemical fertilisers initially produced a dramatic increase in yields. However, over time, the chemicals used in ‘modern’ agriculture destroy soil fertility. The strongly unbalanced fertiliser regimes reduce soil carbon levels and unsettle the soil chemical equilibrium. This in turn impacts on the soil physical properties, causing soil conditions unfavourable to the development of beneficial soil fauna and flora. Pesticides, herbicides and fungicides further decimate this essential soil life. In addition, they contaminate the land with toxic residues that are taken up by food-crops and slowly poison the people that consume them. Like humans, plants require a balanced ‘diet’ of a wide range of nutrients for healthy growth. Because NPK fertilisers contain only 3 nutrients in high concentration, they do not provide the plants all they need in terms of nutrition. What the farmer does not add to the fields, the plants take up from the soil. In a virgin ecosystem, where nothing is removed from the land, these minerals naturally cycle between soil and plants and back to the soil through decay, ensuring a natural balance of these minerals in the soil and plant. However, when the soil is subjected to an extractive agricultural system (where the farmer removes more from the land than he puts back), this natural balance is soon upset. The higher the yields and the more biomass that is removed from the field, the less in-situ recycling can occur, and the faster these vital nutritional elements are removed from the soil. Beyond a certain limit, rock weathering cannot keep up with nutrient removal rates, and the soil starts lacking the required levels of some essential trace elements required to maintain fertility. Chemical fertilisers have enabled farmers to produce artificially high initial yields, but at the expense of soil fertility, making even the original yields unsustainable in the long term. The principle of monoculture further aggravates the problem. Cultivating the same crop on the same land over a long period of time further heightens the soil imbalances. The carbon and mineral impoverishment of soils leads to the production of crops with poor mineral content and low nutritional value. This poor nutrition is passed down the food chain to humans. Micronutrient deficiency leads to poor human health, current statistics of which show a threatening trend in Mauritius. Aside from the nutritional issue, the loss of soil carbon is another major catastrophe of extractive agriculture. Chemical agriculture is responsible for the loss of soil carbon to the atmosphere as CO2, which is the leading cause of global warming. The soil is the largest carbon sink on the planet, and land management aimed at increasing soil carbon levels are reportedly the only solution currently available to curb atmospheric CO2 levels. Farmers today are literally the only people capable of saving the planet with regards to global warming, as the reduction of carbon emissions by industry will not do the job rapidly enough. Building soil carbon levels (humus) is an international environmental imperative. In addition to the chemical degradation of our soils, we also stand to loose our most fertile topsoil through water run-off and, to a lesser extent, wind erosion. Without proper slope management, ground cover and drain design management, we stand to physically loose our most important survival asset, our soil. Land should not be left without plant cover for any length of time. All sloped cultivated land should be flattened or terraced, a common practice elsewhere that is not followed in Mauritius. 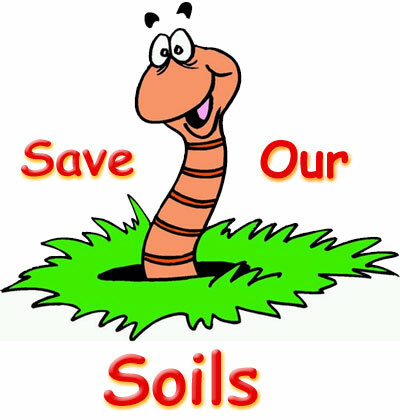 Once we have ensured we are not loosing our soils, we need to ensure that we do not chemically degrade them. We must end our unsustainable farming and other land use practices. We need to stop adding contaminants to the soil, and find ways to remove those we have already put in. This is the first time in human history that parents are expected to live longer than their children, because of the degenerative effect of poor nutrition and increased toxicity from agricultural and environmental chemicals.